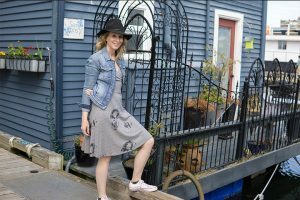 Top 10 Free Things to do in Downtown Victoria B.C. In today’s vlog I will share with you the top 10 free things to do in Victoria BC. If you are travelling to Victoria BC and want to know the best budget friendly things to do in downtown Victoria BC without a car, then you are going to love this short five minute video. These free things to do in Victoria BC are the best tourists attractions that won’t cost you a dime. Be sure to watch the video all the way through for tips on how to find free samples throughout Victoria as well and watch all the way to the end for a bonus. Oldest Chinatown in Canada. 2nd oldest Chinatown in North America. Gold rush in the mid 1800s led to a huge influx of Chinese immigrants. The alleys in Chinatown were set up to hideaway from the opium factories, gambling dens and brothels. Be Sure to Check out Fan Tan Alley and Dragon Alley. Fan Tan Alley is the narrowest alley in all of Canada. Bird on a Wire with Mel Gibson was filmed in Fan Tan Alley in 1990. The alley motorcycle chase scene was filmed in Victoria’s Chinatown, in Fan Tan Alley. See the Inner Harbour, the Empress Hotel, and the Parliament Buildings from the Inner Harbour Walkway. Half a million cups are served annually at the Fairmont Empress and will cost you anywhere from $78-$118 per person. The original totem poles were created by only six tribes of the western part of North America: Haida (say “hydah”), the Nuxalt (say “nu-halk”), the Kwakwaka’wakw (say “kwak-wak-ya-wak”), the Tlingit (say “kling-kit”), the Tsimshian (say “sim-she-an”) and the Coast Salish (say “say-lish”) people. Deep water port where cruise ships dock. It is a 1.6 km walk and you are very likely to see wildlife from seals, to sea lions to otters. Check out the Coast Salish art. See Victoria´s unique community of float homes. I like to call this doggy heaven. Fly a kite at windy Clover Point Park and then walk 3km along the straights of Juan de Fuca. Victoria is known as the city of gardens. The park is a huge 200 acres, about 1/4 of the size of central park in New York City. Incredible wildlife and plantlife. 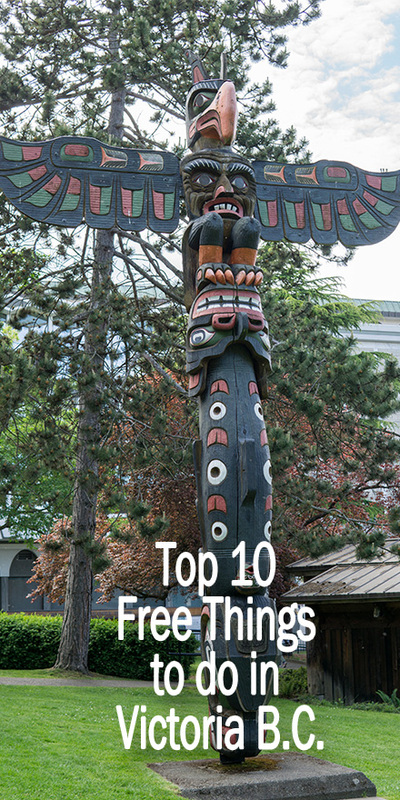 Top 10 Things to do in Victoria B.C.